Bone is a highly dynamic tissue that is continuously being renewed in a lifelong remodeling process that is guided by mechanical and biochemical signals. 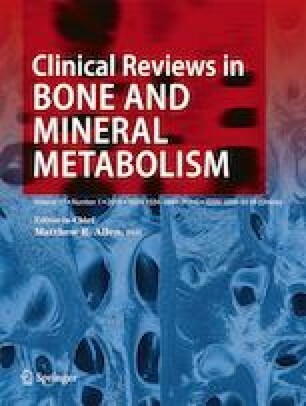 Imbalances between the underlying processes result in metabolic bone diseases, such as osteoporosis and osteopetrosis; therefore, all phases of bone remodeling are tightly controlled by systemic or local factors to maintain bone homeostasis. The sympathetic nervous system (SNS), one of the two main divisions of the autonomic nervous system, operates through a series of interconnected neurons and finalizes the actions by binding catecholamines, released from postganglionic neurons and from adrenal medulla to adrenergic receptors on peripheral target tissues. Because bone is a metabolically active organ with a significant neural innervation, it is reasonable to assume that neuronal control may constitute a key mechanism in bone remodeling. Pheochromocytoma is a neuroendocrine tumor arising from the chromaffin cells of the adrenal medulla and is characterized by an excessive production of catecholamines. Considering that catecholamines are the main neurotransmitters of SNS, pheochromocytoma might be an ideal human model to determine the role of sympathetic outflow on the pathogenesis of a variety of diseases. This review highlights the importance of SNS activity in human skeletal homeostasis based on insights gained from pheochromocytoma, combined with evidence from a variety of experimental studies. This study was supported by a grant (project # 2016M3A9E8941329) from the Bio & Medical Technology Development Program of the National Research Foundation, funded by the Korean government, MSIP. This is not needed as no studies on human subjects were performed.